The average cost of memory care in Barton County is $4,785 per month. This is higher than the national median of $4,655. Caring.com has helped thousands of families find high-quality senior care. To speak with one of our Family Advisors about memory care options and costs in Barton County, call (855) 863-8283. Barton County is a sparsely populated area of Central Kansas where the winters are cold with January lows of 21 degrees and 16 inches of snow and the summers are hot with average July temperatures of 93 degrees. Nearly 19 percent of the people living in Barton County are aged 65 or over and may be part of the the estimated 53,000 seniors in Kansas who have Alzheimer's disease or other forms of dementia. There are two facilities in Barton County that provide memory care to those who need it. 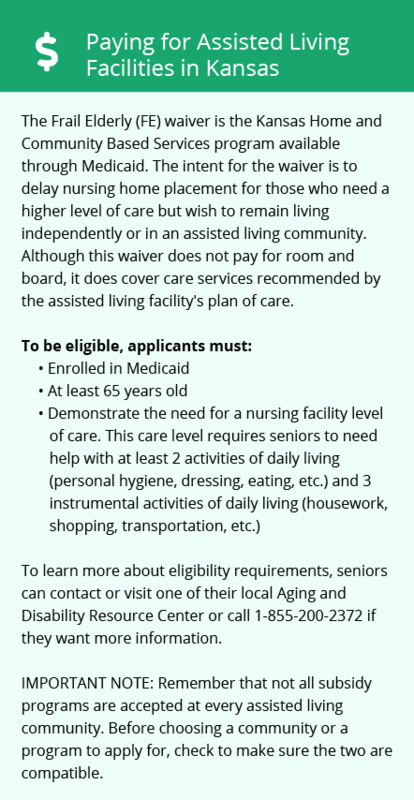 According to Kansas law, these facilities are called Assisted Living/Residential Health Care Facilities. The Secretary of Aging and Disability Services licenses these facilities, but there are no special certifications for dementia care units. The cost of living in Barton County is 24 percent below the national average of 100, making the area very affordable for seniors on lower budgets. The county is also two to five percent less expensive than the surrounding counties. For seniors who earn less than $75,000 gross in a year, social security is completely exempt from income tax in the state of Kansas. Public pensions are also fully exempt for everyone in Barton County. Income from 401(k)s, IRAs and other retirement accounts are subject to state taxes. These tax savings could result in seniors having more money to put toward their memory care budgets. Air quality is important for the health of seniors as pollutants can cause a variety of cardiovascular and respiratory problems. Thankfully, Barton County's air quality is 14 points better than the national average, so families shouldn't be overly concerned about the air in the area causing any problems for vulnerable seniors. Violent crime is eight percent higher in Barton County than the national average of 100. Property crime is two percent higher. Families concerned about the safety of their loved ones may want to ask if a memory care facility has cameras, alarms, secure access points and other security features. Most facilities will have these features and possibly more. Memory Care costs in Barton County start around $4,785 per month on average, while the nationwide average cost of memory care is $4,753 per month. It’s important to note that memory care rates in Barton County and the surrounding suburbs can vary widely based on factors such as location, the level of care needed, apartment size and the types of amenities offered at each community. Learn more about these programs, plus who’s eligible, on our Memory Care in Kansas page. For more information about different ways to finance memory care, visit our Memory Care in Kansas page. Barton County and the surrounding area are home to numerous government agencies and non-profit organizations offering help for seniors searching for or currently residing in an assisted living community. These organizations can also provide assistance in a number of other eldercare services such as geriatric care management, elder law advice, estate planning, finding home care and health and wellness programs. To see a list of free memory care resources in Barton County, please visit our Assisted Living in Kansas page. 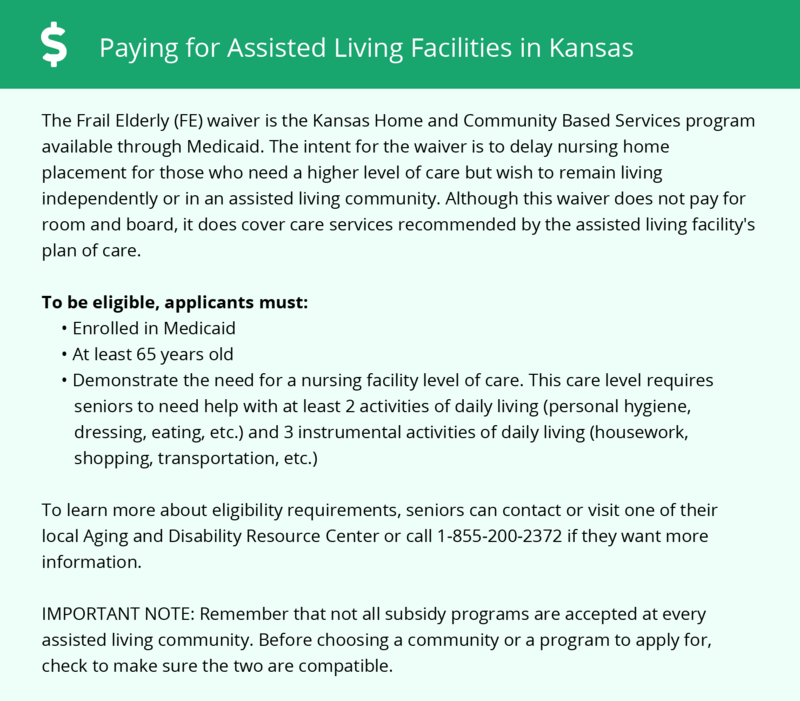 Barton County-area assisted living communities must adhere to the comprehensive set of state laws and regulations that all assisted living communities in Kansas are required to follow. Visit our Memory Care in Kansas page for more information about these laws.